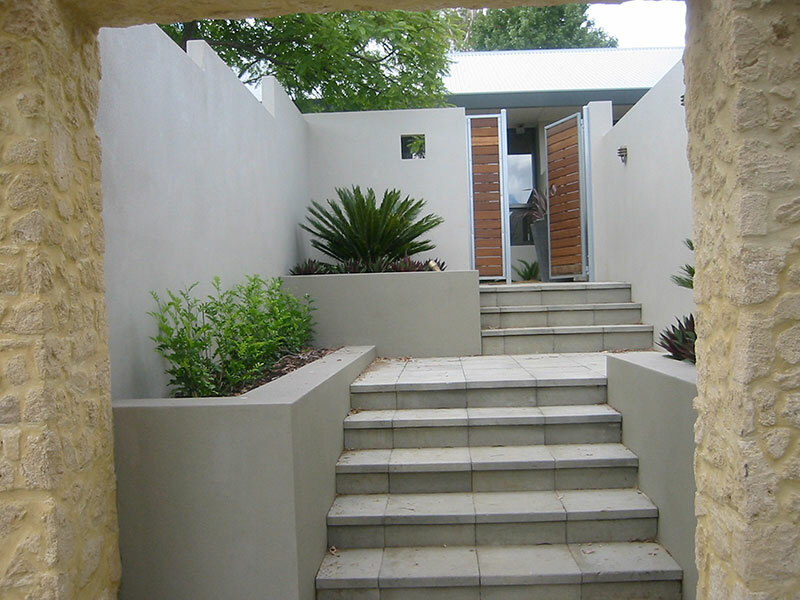 A design for a steeply sloping front garden which not only created an inviting entry but also privacy for the adjacent master bedroom. 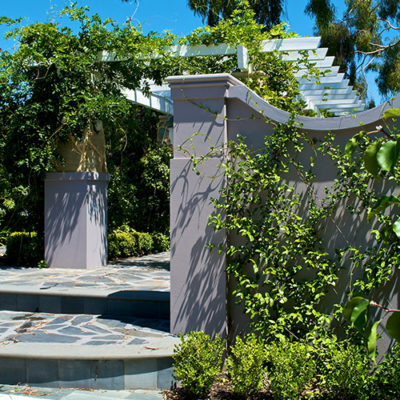 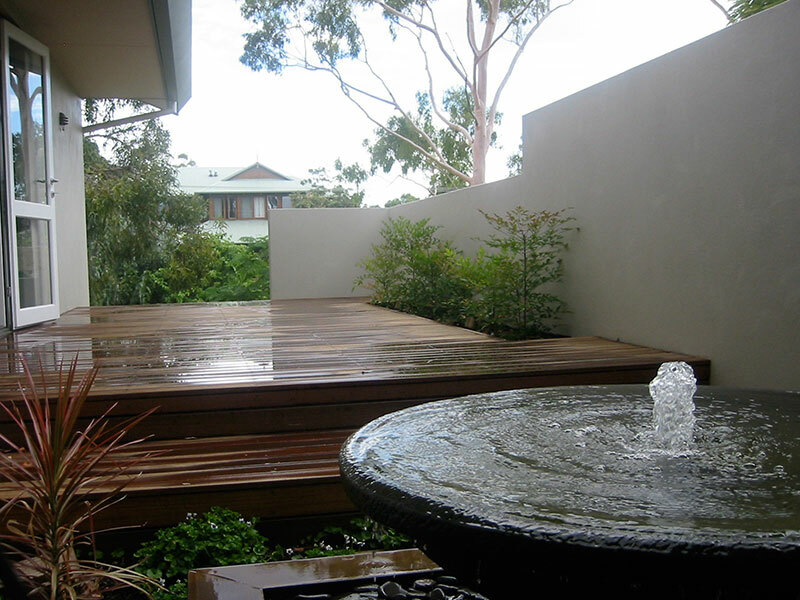 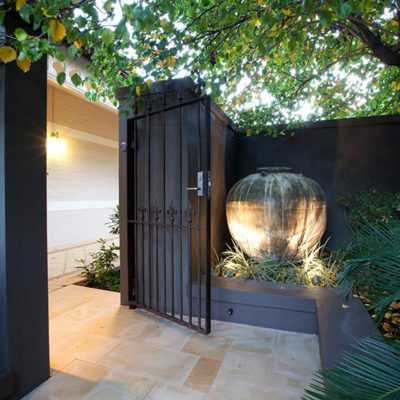 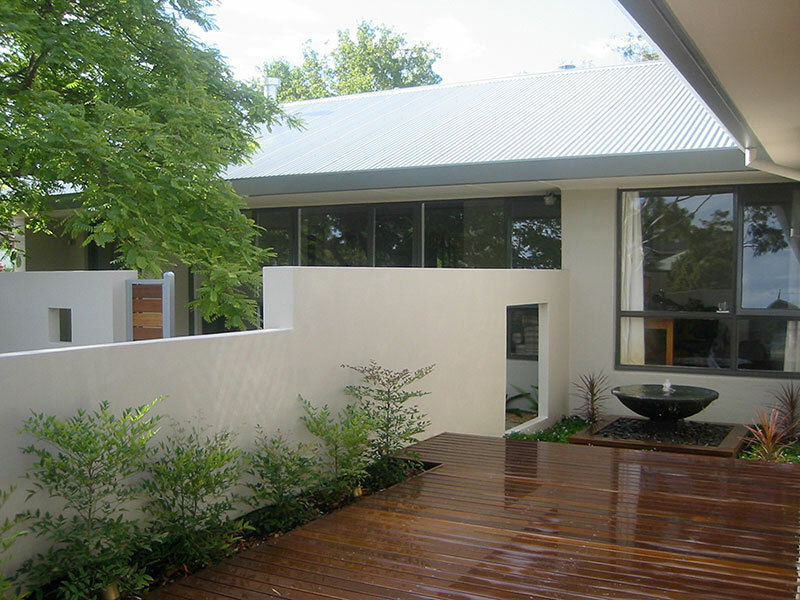 This garden was designed in conjunction with the extension to the front of the home. 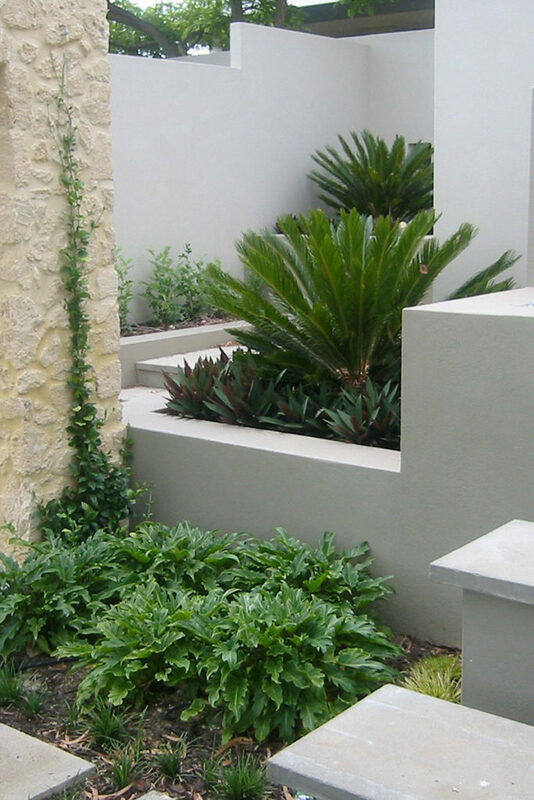 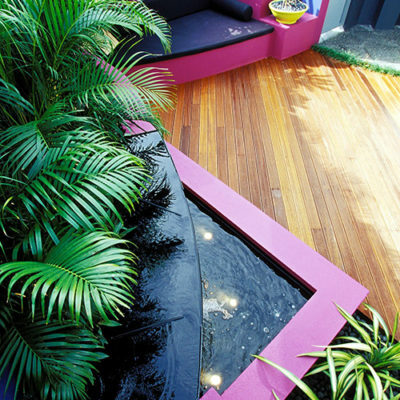 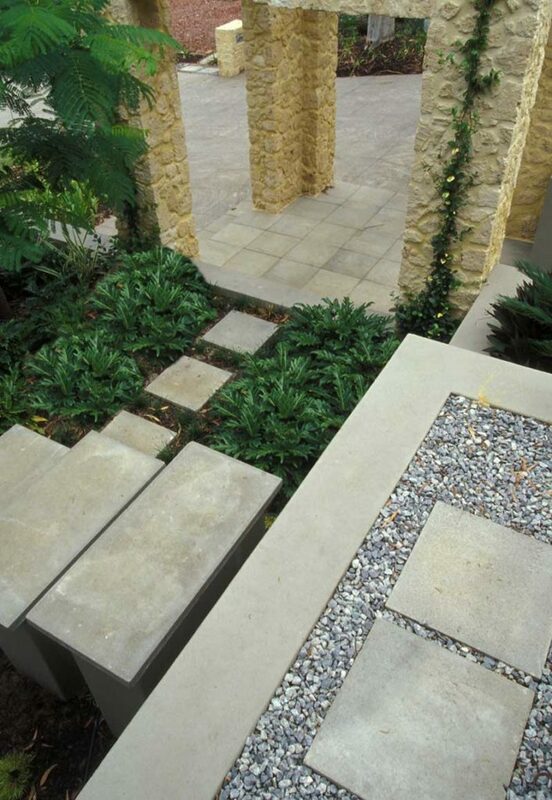 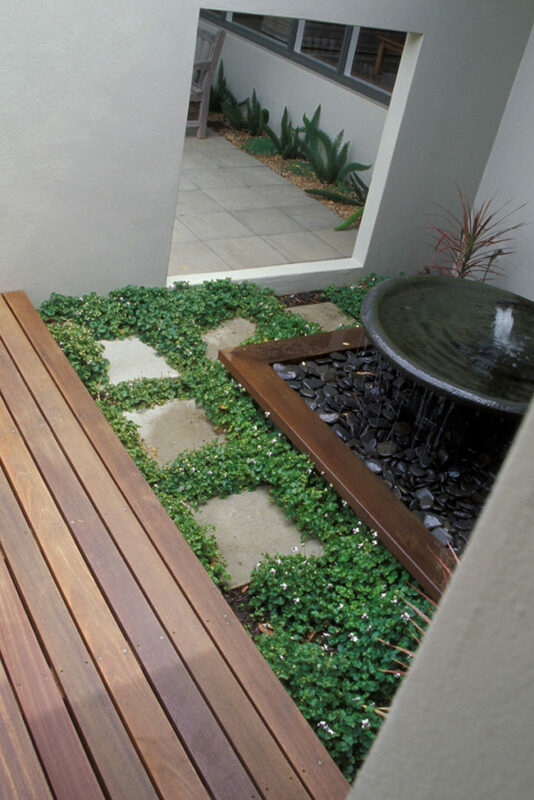 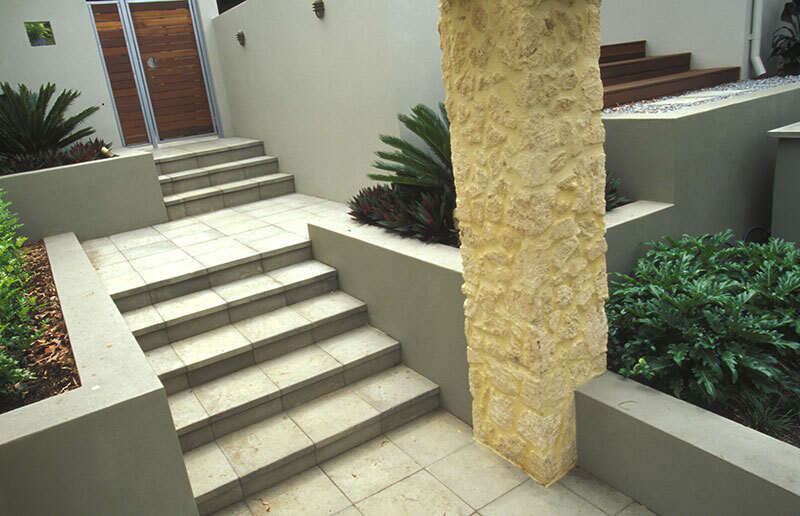 The style is simple, contemporary with soft planting. 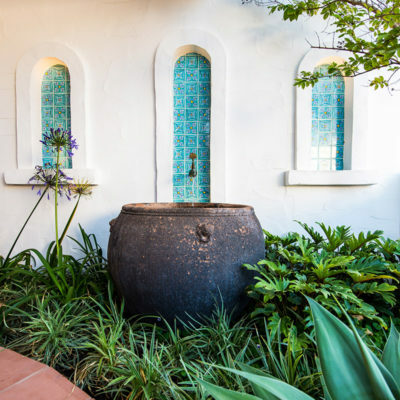 The sleek granite water bowl is visible from the entry courtyard through the rectangular opening in the wall and also from the new master bedroom.